To find out how your database management processes stack up against the top nonprofits, take this short quiz that Wes Trochlil (Founder of Effective Database Management) helped us put together. 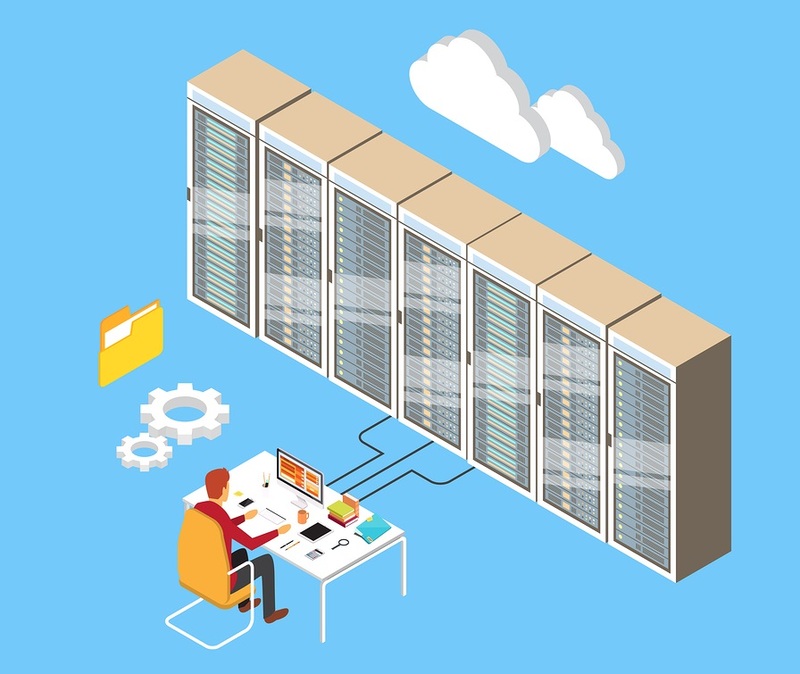 In Wes’s experience, poor database management can have a ripple effect throughout the organization, causing countless wasted hours, poor strategic decisions, and even high board turnover. Ninety percent of the nonprofits he’s come across could improve the way they’re managing their membership databases. This quiz is designed to help you identify areas to improve, and give you expert tips. At the bottom of the quiz, compare your score against others. 1) Can you easily and accurately pull a list of your top 20% most engaged members? One of the best ways to grow an organization’s membership is by focusing on creating value for your most engaged members. One nurses association that I worked with was experiencing stagnant growth until they did just this. They dug into their database and discovered a group of members more engaged than the rest. These people came out to more events, opened more emails, and volunteered more. The association surveyed this group to find out how they could deliver even more value to them. Then they began to run events and create resources designed to appeal to this group. Here’s what happened: these engaged members became super members. They began inviting their friends (who became members too), stayed with the association longer, and contributed more to the association’s revenue from premium memberships and merchandise sales. It helped kickstart growth for the association again. If you’re able to tell your database what criteria qualifies a member as “engaged” it should be able generate a report of qualifying members. Then, it’s up to you to put a long-term engagement plan into place. If you’d like some help with ideas, here are 12 practical tips to engage and retain your members in today’s world. 2) Is the majority of your data housed in one database or source? We’ve come across many nonprofits with multiple databases that don’t realize that a single database can do everything they need. Instead, they’re stuck importing and exporting between different systems, which is time consuming and creates a lot of errors and duplicate entries. Duplicate entries are eliminated when using only one system. Plus, it’s easier to make changes to the data when only one system needs updating. Reports are easier to generate, since records do not have to be crossed-checked between databases. It is much easier for your staff to only learn one system rather than multiple ones, especially if your board experiences regular turnover. If you ever require support for your database, it’s much easier to focus on one product rather than trying to get support for multiple products. 3) Can you easily and accurately identify how many messages you send to your members in a week or month? On Monday, a new person becomes a member of your organization and receives an email notification of their payment and a welcome message. On Tuesday, you’ve scheduled an event invitation to go out to all your members, including that new member. Friday is the last day of the month, so you send out your email Newsletter to all members, including that new member. That new member just received a barrage of emails in one week. That’s like someone getting bombarded by texts from the person they just had a first date with. It’s suffocating. That’s not how you want your new member to feel. But, with hundreds or thousands of members, most nonprofits find it nearly impossible to keep track of which members are receiving which emails. Instead, you can use your database to create sub-groups of members and email them separately on a schedule. This way you can avoid a situation where a new member gets overloaded with emails. 4) Do you have your data management processes documented? If you’re the main person working with the database, who takes over when you leave? Imagine your replacement has to process 500 membership renewals on their first day. I bet your phone will be ringing off the hook! This is why it’s a good practice to document your data management processes and make them easily shareable between board members. 5) Do you have a process for capturing non-financial interactions with your members? What if your database could tell you every member who is about to leave your organization? Would you put a plan in place to re-engage these people? Once you set up your database to report on these interactions, you can see which of your members are least engaged. You can then create a plan to win these people back. 6) Can your members and donors easily do business via your website? Manually processing new member applications, event registrations, donor forms, and volunteer prospects is one of the biggest administrative sinkholes for nonprofits. On the other hand, the most successful nonprofits have created interactive websites that can do all these tasks automatically, because it allows them to focus their time on promoting the organization, and creating more value for members. Here’s the story of how one membership manager was able to triple her membership by setting up a website for her association. 7) Does the data gathered by your website flow directly to your database? Wouldn’t it be great if you could wave a magic wand, say, “Bippity boppity boop!” and all your administrative work with updating member records, forms, and payments vanishes? That’s the reality of setting up a website that interacts with your database. The website allows members to register, join, donate, and pay their dues online and the database collects that information, processes it, updates their records, and sends them confirmation emails automatically. This is also how the most successful organizations are operating, because it frees up hours of administrative work every week, allowing membership managers to focus on creating more value. This is also the reason why membership management software, like Wild Apricot exists, because it does just that. And, if you’re looking for some help on which information to collect, here are ten mandatory membership fields to track in your database. 8) Can you easily and accurately tell me how many volunteers you have? One club I know used to keep their volunteer records in a box in their office. If you asked them, they had no idea how many volunteers they had at any given time. Once, they misplaced the box and lost everything for a month until it was found. When they finally started keeping track of their volunteers in their member database, it made things so much easier. At a glance they knew exactly how many volunteers they had, what their availability was, their preferred positions, and even skillsets. It also made contacting these people easier too, because they could simply email them from their system. 9) Can you easily and accurately tell me the long-term-value of your members? The most successful organizations analyze the long-term-value of their members on a regular basis to make sure that their promotional activities are growing the organization in a cost-effective way. Let’s take the manager of a tennis club as an example. If she discovers that her average member pays $100 in dues and stays with her tennis club for two years, then the long-term-value of her average member is $200. She can now increase the spend of her promotional activities up to $200 per new member, because each new member will pay her tennis club back $200 over their lifetime. Increasing the spend of her promotional activities is likely to bring in new members, which will grow her tennis club. 1-6: Perhaps it’s time for a database audit, read on. 0: Ditch the stone tablets and come into the 21st Century! They collect member information directly from their website. They process and update member information and payments automatically in a central database. They generate reports to help membership managers make smarter decisions. They have data processes documented, which eases onboarding for new employees and volunteers. All of this saves a lot of time for the organization and helps everyone make smarter decisions about how to manage members. If you think your score could be improved, I’d encourage you to watch this free webinar from Wes Trochlil, where he offers histop 10 tips for leveraging the power of your database to grow your membership.